The bundle of joy joins nine-year-old sister Evangeline-Vesper and brother August who turns four later this month. The Red Mamba played with the Spurs for ten seasons, making him one of six players in the history of the Spurs to play ten consecutive seasons. Many of hIs statistics rank in the top ten all time for Spurs players. 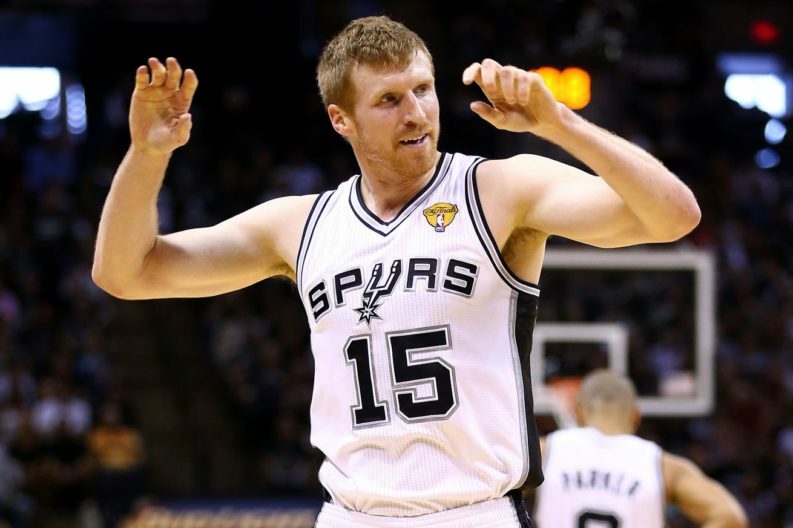 As you may recall there, is a petition to have Bonner’s #15 retired by the Spurs. Since retiring, the Sandwich Hunter has continued with the Spurs as an analyst mixing Spurs corporate knowledge, an expertise for breaking down the game, and a unique sense of humor that all fans can value. Congratulations to the Bonner family on their newest family member. And Happy Anniversary, Matt and Nadia. Somebody get these guys a Spurs onesie.